July 4th is a time to celebrate with friends and family. Break out the games and the grill to celebrate America’s birthday on a great summer day. Maybe you could even try a flag fruit salad. Recipe Here. Go ahead and share this with friends and coworkers. Post it to your LinkedIn page or impress your family with these new fun facts. There’s a total of 11 towns in the USA with “Independence” in their name. The flag we know and love today was not the original flag. It was later changed making the United States the only country to change its flag. July 4th was not declared a federal holiday until 1870. We’ve been celebrating July 4th with fireworks since Congress approved them in 1777. 14, 000 firework displays are anticipated each year. Since 1937, you have been able to purchase a flag that has been flown over the Capitol through the Capitol Flag Program. Americans consume 155 million hot dogs on July 4th each year. Founding fathers of the Declaration of Independence, Thomas Jefferson and John Adams both died on July 4th, 1826. The name of the American flag is Old Glory. The Liberty Bell has not been rung on July 4th since 1846; instead it is just tapped. Only 27/200 printed versions of the Declaration (called the Dunlap Broadside) are accounted for. Over $300 million worth of flags are manufactured each year. 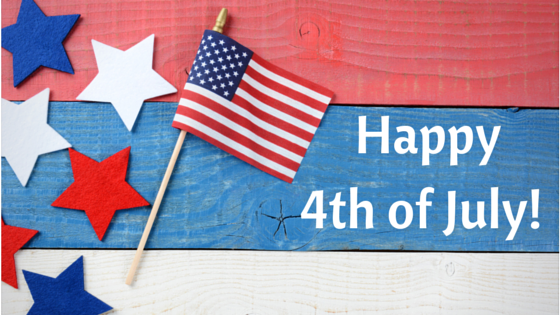 We at Star Thermoplastics want to wish you all a fun and safe July 4th weekend.